Bloomberg Market Concepts is an 8 hour self-paced e-learning course available on the Bloomberg in the C.B. 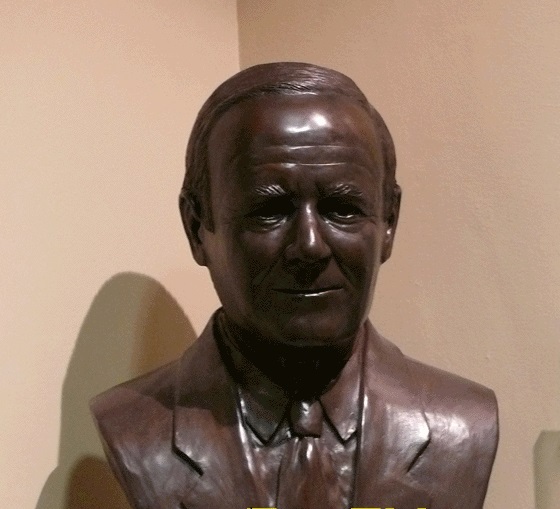 "Bud" Johnston Library. The course provides an introduction to the financial markets and consist of 4 modules woven together with Bloomberg data, news and analytics. Bloomberg Market Concepts is a free course available on any library Bloomberg. 1. Learn about financial markets. 2. Familiarize yourself with 70+ Bloomberg functions. 3. Solidify your knowledge with over 100 interactive questions. Anyone who is an current student, staff or faculty member at Western University is eligible to do the training. The Bloombergs require an active Western Identity -- alumni and guests are not eligible at this time. All students who complete BMC are able to create an anonymous profile which is searchable by the 330,000 Bloomberg Terminal users on the Bloomberg Talent Search (BTS). Employers use Bloomberg Talent Search to source interview candidates for internships and full-time entry level roles. 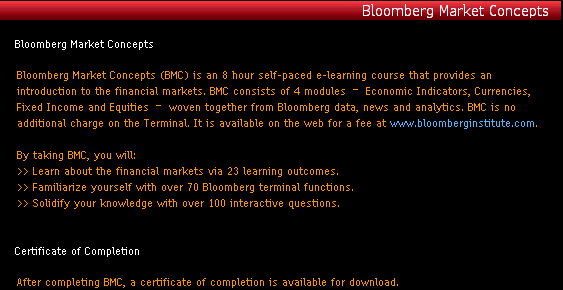 Sign in with your BMC credentials at the Bloomberg Institute. Click My Profile in the gray header. Click Edit Profile in the left side bar. Fill in your details - these will be confidential unless you approve they be released by a request from an employer. Click Resume in the left side bar. Click Profile in the left side bar and slide the toggle from No to Yes to make your profile searchable.